Home New Mum Tips How much sleep and awake time should your baby have? 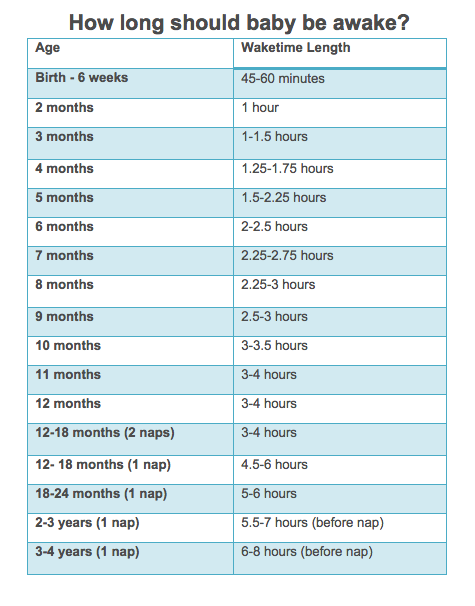 Everyone talks about sleep and how much your baby should be getting at different ages. Not many people talk about how long your baby can handle being awake in between before they get overtired and the cycle can start on a very slippery slope. Understanding the awake time was the biggest game changer in helping my little man get better at sleeping during the day. Hope it helps! Here are two tables that helped me understand sleep with my baby more than any of the books I read. How long should my baby be awake between sleeps? For more reading on baby sleep, take a look at this article where we’ve provided links to a bunch of great articles we’ve found that helped mums. Have you stumbled across a great resource that helped your baby become a great sleeper? Let us know! Next articleNot Missing Out: A twist on an old favourite – Homemade Bounty Bars! Manage Your Moolah! How Mums Can Stay Cash Savvy Today!